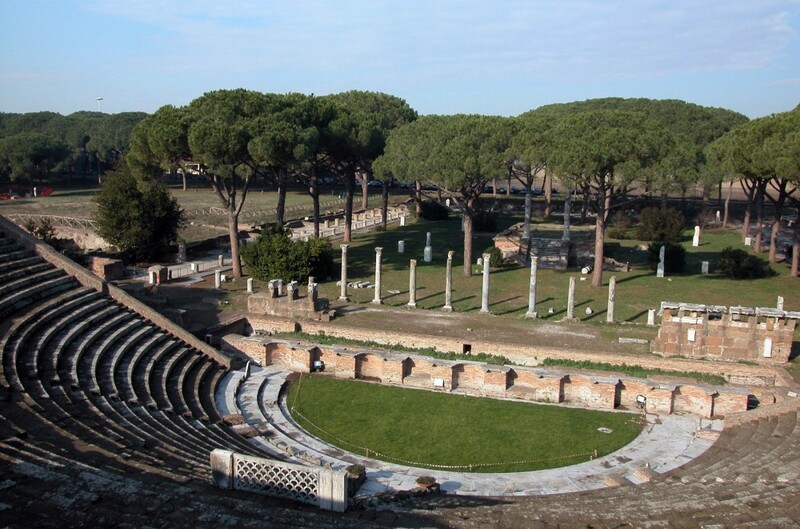 The city of Ostia grew on the site of a Roman camp (fourth century BC), which was situated at the exact spot where the Tiber river flowed into the sea. The soldiers in the camp were placed there to protect the coastline from enemy attacks. Over time, it turned into a busy city because it was not only Rome’s enemies that arrived from the sea, but also merchants with boats full of products to sell in Rome. As such, Ostia and its river port became even more important. Goods arrived on large boats from across the sea and were then transferred to smaller boats to continue passage to the city of Rome by travelling up the course of the Tiber… but in a very strange manner. 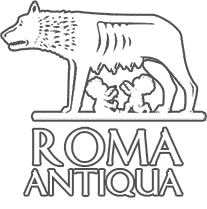 During the Roman Empire with the increase in traffic and commerce, it became necessary to create a larger and more secure port in Ostia. Emperor Claudius had a new port built in 42 AD and later, Emperor Trajan had it enlarged. As such, Ostia became the primary point for the sorting of goods before they headed to Rome. Ostia also became an active and heavily populated city surrounded by a solid wall and visited by travellers, sales people and craftsmen. Enormous warehouses, markets and shops, taverns, country houses, baths, multi-storey buildings and even a theatre were all built in the area. The city was very lively, full of traffic and in the large main square, the Forum, the streets were always full of people who were meeting and doing business deals. 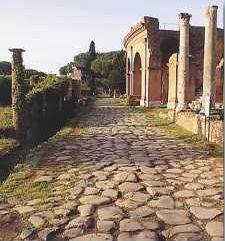 Ostia was also a multi-ethnic city like Rome, where people from all ethnic backgrounds and cultures visited and lived. Many languages were spoken and everyone was free to practice their own religion. The numerous temples are evidence of this freedom. There were temples dedicated to foreign gods such as the Persian god, Mitra and the Egyptian goddess, Isis. If you would like to see what still remains of the ancient city, I must visit the ruins. It is certainly worth the effort because, after Pompeii, Ostia is the best example of a Roman city that has survived to date. The entrance is in via Romagnoli at 717. Be sure to get a map on entering to find your way around because the area is very large. Still, we wolves have fast feet and we know how to sniff out the things not to miss. Follow my tail and you won’t regret it.